Being a graduate student with a full course load and a hefty practicum can often create tension between theories and practice techniques learned in school, and our daily lives. However, as Veteran’s Day recently passed and the Holiday Season is upon us I am struck by the need to integrate social work ideology more fully into the way I carry out my life. One way I can do this is by supporting the Men, Women, and Families, who have given of their lives and time so that I may enjoy my activities of daily living including going to the UNC School of Social Work, where I have learned the core values of social work–service, social justice, dignity and worth of the person, importance of human relationships, integrity and competence. In thinking about these values I feel privileged to live in a country where its citizens voluntarily enlist to serve and protect people such as myself. There is no way to equal the unparalleled bravery and sacrifice of these individuals and their families, but perhaps, on a smaller scale, I and other social workers, can make strides towards giving our service folks the recognition and thanks they have merited. An initiative that offers opportunities for involvement in my locality is the new Military Caucus at the UNC School of Social Work. Created by students passionate about the needs and interests of our Military and their families, the Military Caucus works to raise awareness about the issues these folks face, and garner support for meeting the needs that coincide with such issues. Recently, the Military Caucus hosted a “Support Our Troops” Gift drive at the UNC School of Social Work. Gifts collected, for all age ranges, benefited the North Carolina 340th Psychological Operations Unit which recently returned from deployment after working to smooth U.S. relations with the Afghan people. 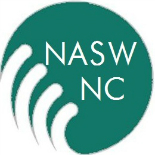 This entry was posted on December 3, 2012 by naswnc in Membership.